Fri., June 2, 2017, 10:20 a.m.
CARDIFF, Wales – Here’s a look at the duels that could be decisive when Juventus and Real Madrid meet in Saturday’s Champions League final. Ronaldo has gotten the best of Buffon so far, scoring five goals in his four games against the Italy goalkeeper. His last two goals were in the 2015 Champions League semifinals, but it was Buffon’s Juventus which ultimately advanced to the final. 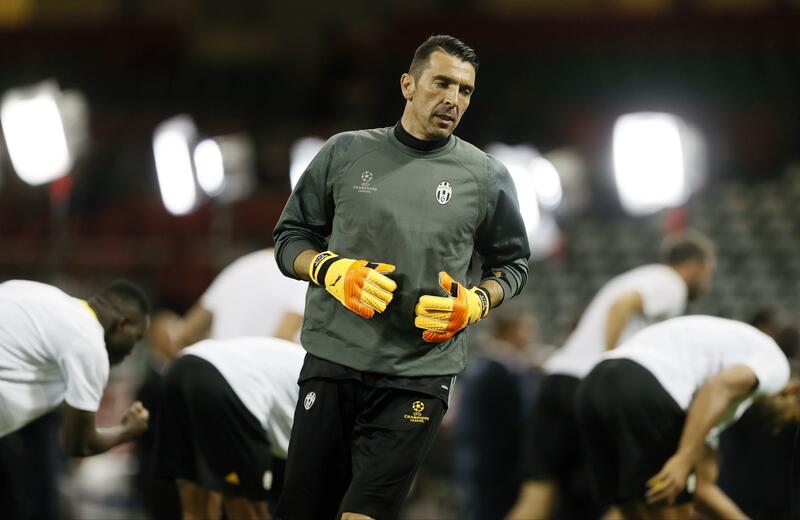 “All I can do is try to not concede goals, but he is in better position to determine the outcome of a match,” Buffon said. It will be Buffon’s third Champions League final. His previous finals ended in losses to Barcelona in 2015 and to AC Milan in 2003. Ronaldo, the reigning world player of the year, won the Champions League with Manchester United in 2008 and with Madrid in 2014 and 2016. The veteran Brazilian fullbacks thrived with their clubs this season. They will be playing on the same side of the pitch on Saturday, attacking and defending against each other. The 29-year-old Marcelo, the skillful left back who has been playing with Madrid for more than a decade, will be trying to win his third Champions League title. The 34-year-old Alves, the sharp right back who joined Juventus from Barcelona this season, will be seeking his fourth trophy in Europe’s top club competition. He won three with Barcelona. They have been longtime teammates in Brazil’s national team and are expected to be starters under coach Tite in next year’s World Cup in Russia. Gonzalo Higuain, who moved to Juventus from Napoli for an Italian-record 90 million euros, gets a chance to prove his worth against former Real Madrid teammate Sergio Ramos. Higuain, the overpowering Argentine striker, had a solid season with 24 goals in the Italian league and five in the Champions League. Ramos, one of the stars for Madrid in the last two European finals won by the club, excelled in defense and offense, finding the net 10 times in all competitions this season for his best scoring mark of his career. Ramos scored a 93rd-minute equalizer in the 2014 final against Atletico Madrid to extend the game into extra time. Last year, he scored in regulation and converted a penalty kick in the shootout won by Madrid, also against Atletico. Ramos and Higuain won three Spanish league titles together with Madrid. It will be youth against experience as Juventus’ Paulo Dybala goes against Real Madrid veteran Luka Modric. The 23-year-old Dybala has made an impact on the international stage this season, so much that he even earned comparisons with compatriot Lionel Messi. He attracted plenty of attention by scoring twice in the quarterfinals against Barcelona, and days later he was given a new contract that will keep him in Turin until 2022. The hard-working Modric endured a series of injuries that sidelined him during parts of the season, including a left-knee ailment that required arthroscopic surgery in December. But the 31-year-old Modric remains a key piece in Madrid’s midfield, providing the first line of protection to the defense and often threatening in attack with his precise assists and long-range shots. Two former players, Massimiliano Allegri and Zinedine Zidane will be operating from the sidelines on Saturday, each trying to win one last trophy in what has been a remarkable season for both clubs. Allegri, a manager since 2003, is in his second Champions League final and seeking his first title. Zidane, on the job for less than two seasons, is trying to become the first coach to win back-to-back European titles in the Champions League era. “We need to be strong and confident in our abilities and play well from a technical and tactical point of view,” Allegri said. Both coaches have successfully surpassed expectations after being hired surrounded by questions marks, with Allegri replacing the highly popular Antonio Conte in 2014 and Zidane making his head-coaching debut in 2016 with Madrid in crisis after poor results under manager Rafa Benitez. Published: June 2, 2017, 10:20 a.m.